Yes, however Cali Party Bus is a proud member of the Temecula Valley Wine Growers Association and as a responsible partner alcohol on wine tours is limited to beer, wine, and champagne. Sorry, no hard liqour on wine tours. Yes, almost all of our buses have restrooms. Only our smaller vehicles including the 10-20 passenger limo bus do not have restroom. Are the tastings included in the cost of the bus? Can we eat food on the bus or where can we have lunch? Yes, you are welcome to bring sandwiches or snacks on our vehicles to enjoy either at a winery or on the road. 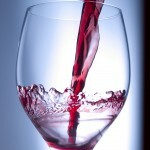 If you would like to eat aÂ restaurantÂ or winery while in Temecula we would be happy to help arrange your reservation. How many people can come on the tour? 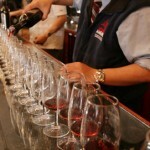 San Diego Wine Tour can accommodate parties from 6 people all the way up to groups of 50+. We have vehicles for every size group! 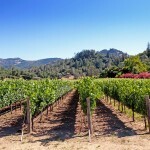 Do you offer special coupons and discounts at Wineries? San Diego Wine Tour is a member of the Temecula Wine Growers Association so we offer several different discount coupons with Temecula Valley Wineries. 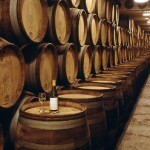 We also offer special discounts and coupons on weekday Wine Tours, including 2 for 1 tastings at participating wineries. What days are the Wineries open for a tour? Most wineries are open 7 days a week from 10 am to 5 pm but it varies depending on the Winery. The smaller boutique wineries are generally only open on the weekends. Where does the San Diego Wine Tour depart from? You can reserve to have the San Diego Wine Tour Luxury sedan, limousine, Hummer Limo or Limo Party Buses to pick you up anywhere in San Diego or Los Angeles County. How do I know what Wineries to visit? Take a look at our Wineries page where you will find a list of all the wineries available for tasting in the Temecula Valley. You can either pick and choose from the ones that entice your pallet or call us today to speak with one of our specialized Wine Tour Coordinators who will help you customize your Temecula Valley Wine Tour. What are different times of departure? Typically all wineries in Temecula are open from 10:00 am till 5:00 pm so we recommend that you depart San Diego at 10:00 am so you can visit as many wineries as possible in one day. However, you can always depart San Diego at 8:30 am so that you arrive at the Wineries at 10:00 am when they open. How long should my tour be? Generally in our experience when leaving from San Diego you can visit 2 wineries in a 5-hour tour and 3 wineries in a 6-hour tour. How do I get a quote for my wine tour? 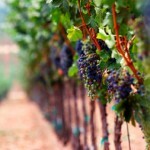 How can I pay for my Temecula Valley Wine Tour? We require a credit card number in order to reserve your Luxury vehicle transportation for your wine tour. On the day of your tour you can either pay in cash, check, cashierâ€™s check or with a credit card. No, gratuity is always greatly appreciated by your hard working driver directly in cash. If you cancel 14 days prior to your reservation there is no additional cancellation fee. If you cancel within 14 days there is a $250 cancellation fee. If you cancel within 7 days of your reservation thereÂ Â is a 50% cancellation charge of the total price of your booking.Â If you cancel within 72 hours of your pickup time then you will be charged 100% of your booking price.